Posted by Wendy in Interview, Women's Skiing. But women general managers are a somewhat rarer breed. According to statistics from the National Ski Areas Association, there are only about 20 to 30 nationwide. It’s more or less a boy’s club. 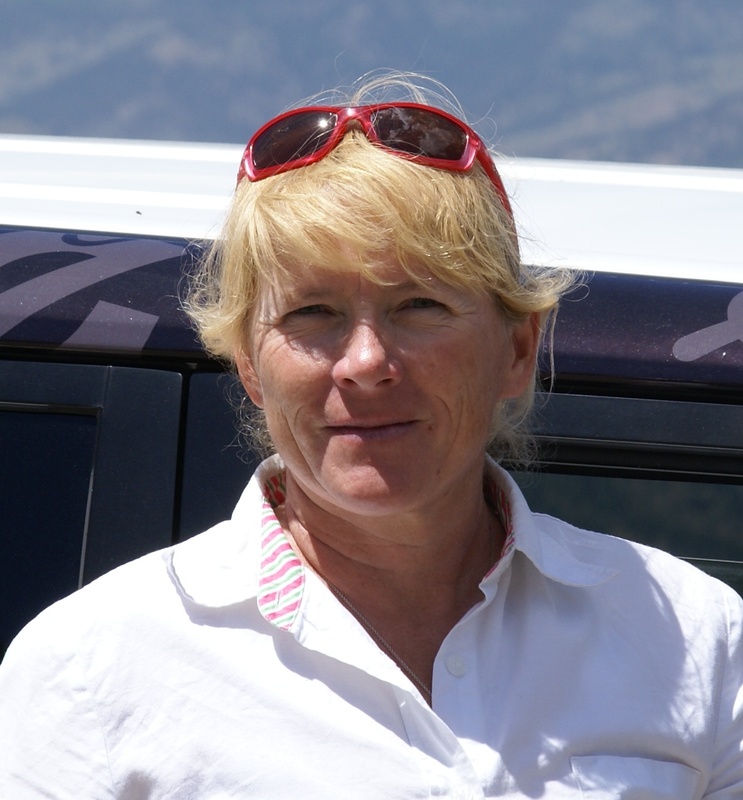 That’s why it’s particularly noteworthy that Colorado Ski Country, the not-for-profit trade association representing Colorado’s twenty-two ski and snowboard resorts, recently bestowed its President’s Award on Cindy Dady, General Manager of Echo Mountain Resort. The award honors outstanding achievement within the Colorado ski industry, as well as excellence in serving the association. All this is certainly worthy of respect and admiration. But what does it take to be a female GM? How did she get where she is today? We spoke to Cindy to find out. First of all, congratulations on your award, Cindy. That’s a pretty big deal. Thanks! I’m elated. It means a lot to me. Tell me, have you always worked in the ski industry? Yeah, I started when I was in college. I was a Rec Ed major at SUNY [State University of New York] in Cortland, where I spent a lot of hanging out at Greek Peak. I worked there as a part time instructor from 1982 through 1990, and eventually went full time to develop their kids program. I became their KIDS ski school director in 1991. We put in the first magic carpet on the east coast and built a new kids building, which was actually too small the day we moved in. In the midst of all this, I went back to school for a Phys Ed degree. I was thinking, well, I have to grow up one of these days, so I’ll be a phys ed teacher. Then in 1998, one of my great friends was working at Stratton, and the next thing I knew, I was taking a job to run their ski-ride program. It was great, but by 2005 I began to think I wanted more. So I moved within Intrawest to Winter Park to run its KIDS ski and ride program. I was there til 2008, when I had a partial knee replacement and went back to school to get an MBA in finance. The next thing I knew, I had a job with Echo Mountain. You say you wanted more. What were you after? With all my knee problems — I had 9 surgeries in 3 years — I knew I couldn’t be a ski school director forever. So I began to look at opportunities for growth. Getting my MBA provided that extra bit of validation and opened up new doors. Plus I had a ton of great experience. In many respects, I was running mini resorts at Stratton and Winter Park. I had my instructors, my rental staff, my food and beverage staff, my lift attendants. It made me very well rounded for whatever came my way. Why do you think there are so few female General Managers? First, there aren’t that many jobs. And second, I think it’s a case of believing you have the skill set and experience to take it on. Take me, for instance. I’m the youngest in my family. The oldest is 18 years older than me. By the time I was born, my mom could see that the world was changing. I have a sister who’s 15 years older who was a runner up for Miss America. But I wasn’t into that. When I was little, I wasn’t confined by the same boundaries that she was. I was playing football and baseball with the boys. When Title Nine came through, I had the opportunity to play Little League in the 70’s. I’ve never looked at things in terms of gender, and I think that’s the biggest problem most people have. There are more women than ever before in upper management in the ski industry, and I think there’ll be more as positions open up. There are a number of women who are assistant GMs, so I think it’ll become a lot more common. Given all the opportunities, women aren’t looking at a position as a “guys only” job. They look at it and think, hey, I’ve got the skill set, I’m going to go for it. Are people surprised that there’s a woman GM? Do you have any problems you’ve had to overcome? No. I haven’t seen any of it. It’s been very welcoming. The mountain hired the person they thought was the best fit for this job. I’ve had no problems being that person. What advice would you give a woman entering the ski industry? I think the big thing is build a diverse resume. No job is off limits. What you come with — your own internal beliefs in your ability — sets the limits. If you think you can do anything, you can. I sit on a number of boards, and when I talk to kids, I tell them not to pigeon hole themselves. Have experiences in all phases of outdoor opportunities, so if you’re applying for a management position, you’re well rounded. Is there an achievement at Echo Mountain that you’re most proud of? We’ve been adding fun things all the time, like our race component. And we’ve been growing the ski and ride school. Each year we’ve seen new and exciting developments. Two years ago a member of our community became Terrain Master of the Year. We’re the itty bitty mountain, but we’re showing that we have the same caliber staff as the big guys. How do you compete with the Vails and Breckenridges out there? We’re the resort where families can come and feel safe, where the kids can have fun in the terrain park. We’re only 35 minutes from Denver, so we’re close enough to be a place to come for the day, as opposed to a destination resort. We actually have Winter Park/Loveland/Vail buy lane space for a month at a time throughout the winter so their front range kids can have the same training opportunities as the mountain kids who’re living at the resort. The fact that Vail is coming to us speaks volumes. What’s in the future for Echo Mountain? More expansion! We’re one of, if not the only, privately owned mountain, meaning we’re not leasing the terrain from the forest service. This gives us a lot of freedom in everything from deciding what trees we cut to where we erect pole banners. We can do whatever we want. We have 240 acres, and we’re sliding on between 60 and 80, depending on who you talk to. So we’re continuing to expand. Do you have a favorite run at Echo? The entire mountain. It’s all good. Can you ski, given the problems you’ve had with your knee? Absolutely, as long as I’m not pounding through the bumps. Do you ski on your day off? No, I just relax. My time off is for my son, my dog, and my golf game. A season like we had this year when Denver was so warm, I was playing golf in March. I get around 120 rounds a year. For our gearheads out there: What do you ski on? I’ve been in Tecnica boots since their founding year, I think 1983. I ski on Blizzard skis. I’ve ordered the Crush and the Viva 8.1. Thanks, Cindy! And again, congratulations!